To help you get started with openLCA, we are providing many free resources, from manuals on the software to handbooks on specific topics, to guidance on impacts assessment methods and some ready to use case studies to get inspiration on modeling your own LCA study. Sometimes it is good to have a more comprehensive text which explains details – this section contains some manuals for different openLCA versions and related, typically more specific, topics. Also the format converter documentation is available. Eisfeldt, F. (2017): What´s new in PSILCA 2.0, Webinar – slides and video, 14. and 19.12.2017. Quite frequently, practical cases are more instructive than mere theoretical discussions. Aim of this section is, therefore, to provide these practical cases. If you think you have also an interesting study or that you would like to present and share, let us know. Cotton production (download the database for teachers and students here, 30MB each). 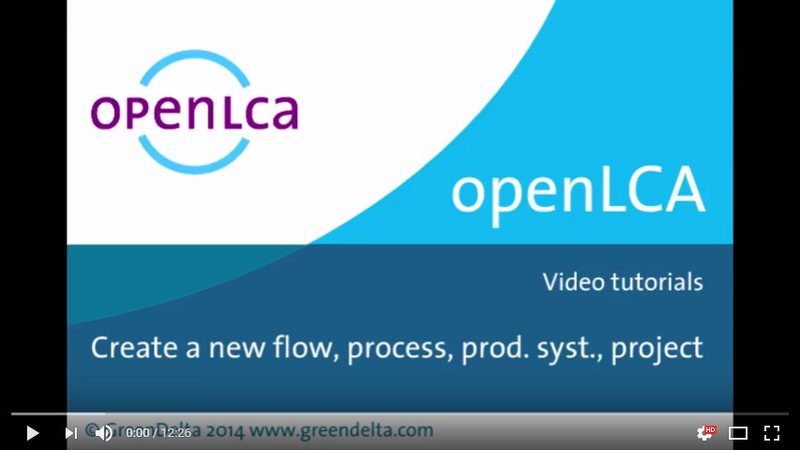 We have created video tutorials for using openLCA that you can find on our openLCA YouTube channel. Besides instructional videos, we also upload free webinars on specific topics there. Click on the picture below to be redirected to the openLCA YouTube channel.